What was cool though, the 8 pointer was at my feeder from around 11 to 12:30 am yesterday morning. Then he came back around 4:30 and stayed to around 6 before leaving---but with only one side. So I got to thinking where could he have gone for four hours. About 300 yards away is a wheat plot and I figured that was a good place to look----and there it lay, right in the middle. They are monsters in the making! That is pretty cool finding the eight point like that. 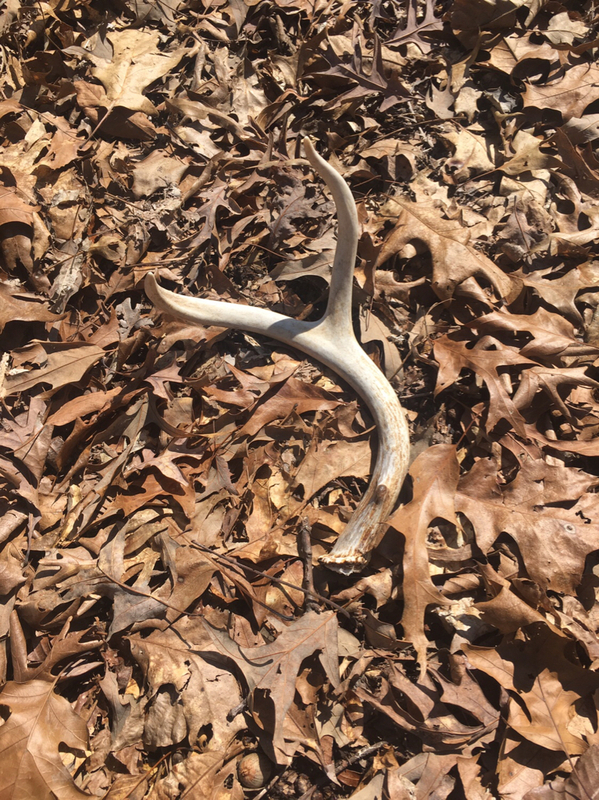 We are just beginning our shed hunting. Snow cover is melting quickly with around ten percent of the woods now showing open ground. Now.....I’m not shed expert, nor do I get 10-20 sheds a year. Over the years though I’ll find 1-2 a year, but this was my first real year of looking so far and I’m up to 6. 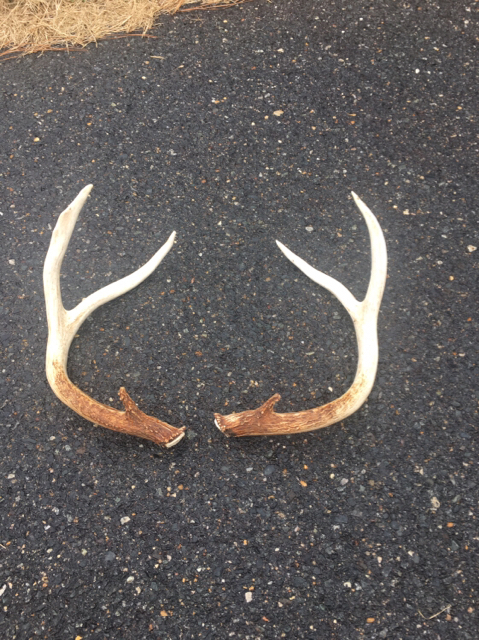 My question is though, including this year, all the sheds that I can remember finding are for the right side. I can’t remember ever finding a left sided one. Bad luck or is there something behind it? In my book six sheds is excellent in one season! Right side or left side no matter. Here over time number of lefts equals rights, likely this is one time that most properties will be similar OVER TIME. I had this question when I first started looking. My ratio of right:left was easily 10:1. The short answer is someone else had a left:right ratio of 10:1 as well. My advice is to go back to where you found the right sides and make progressively bigger circles out to a couple hundred yards. I have matched up many sheds doing just that. Best of luck, and great job on the finds! T-Max and cutman like this. Had a good morning cleaning ditches. What's the story on the one on the far right. Looks like a nice shed. I wish these sheds weren't still attached to his head! T-Max, Chipdasqrrl, cutman and 2 others like this. I’m not sure who this is from. The base is 7.5” though and I know he made it through the season so can’t wait to see him next year. At first I thought he was from this guy, but the brow tines don’t match up. Baker I think you need more help harvesting those bucks before they die of old age! Sadly I'm pretty sure this buck was just a 4 yr old. I saw him in hard antler before the season started but then never saw him again. Found him when I was cruising timber before we did the burn I showed on video in the property section. Probably fighting. Was 180 with another 3-4" broke off. That is an awesome shed Cutman, a real motivator for sure. Good luck, I hope to read about the hunt he gives you this fall.